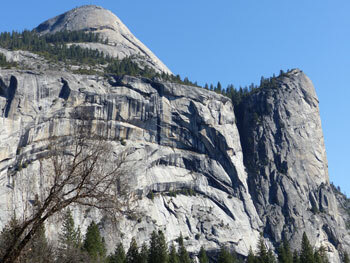 The old Indian woman and her husband finally arrived at the Valley they knew as Ahwahnee. 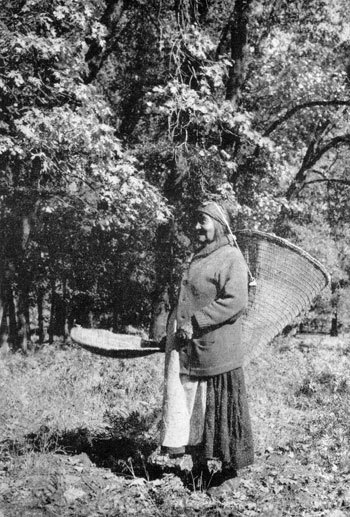 As was the tradition in those days long-long ago, the woman carried a beautiful… but heavy, cone shaped basket that was woven from reeds and the course grasses. Her husband walked alongside her unburdened except for his walking stick. The sun was high and hot and as the old couple continued on their journey they grew more and more thirsty. Tis-sa-ack arrived at the beautiful mountain lake first, and she drank deeply of it. She drank so deeply that when her husband arrived the lake was dry! Because the lake was dry there came a drought and the once beautiful green valley dried up. The man was enraged by this and he raised his walking stick to strike at his wife. She cried as she ran from him and her tears stained her face. 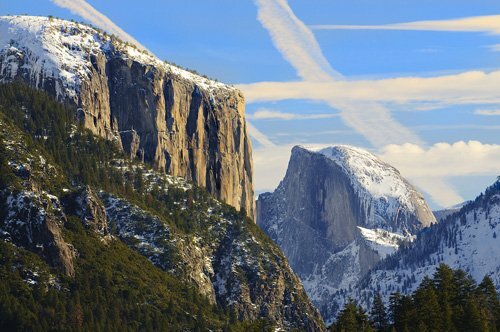 She turned and threw her basket at her husband….and as they faced one another The Great Spirit transformed them both to great stone structures because of their wickedness. 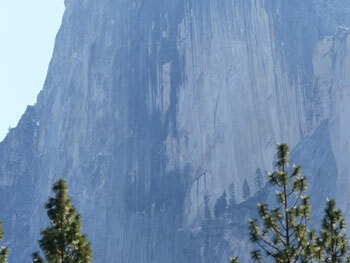 She and her husband now remain separated forever...The white man knows them as Half dome and Washington Column. To this day, her tears stain her face and her discarded basket lies nearby. To Return To The Home Page From Tis-sa-ack Please Click Here.